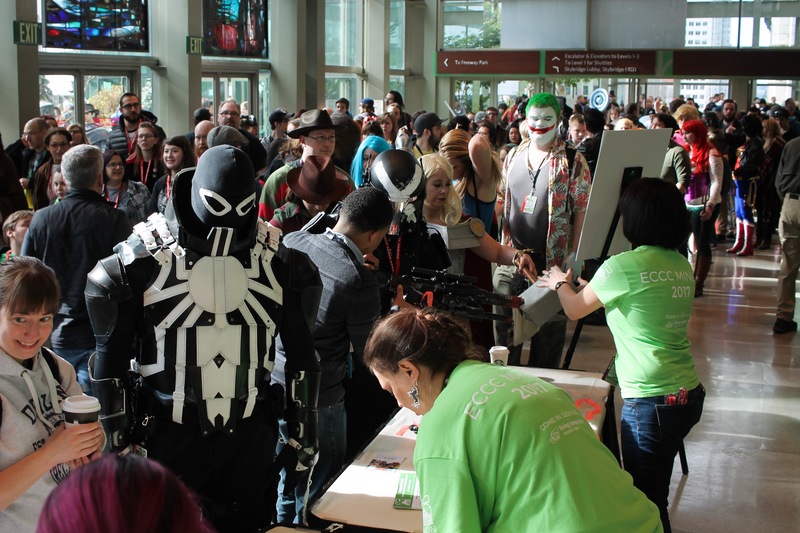 The 2017 Emerald City Comic Convention in Seattle happened last weekend, delighting many for its 15th successful year. I attended for my 5th consecutive year. 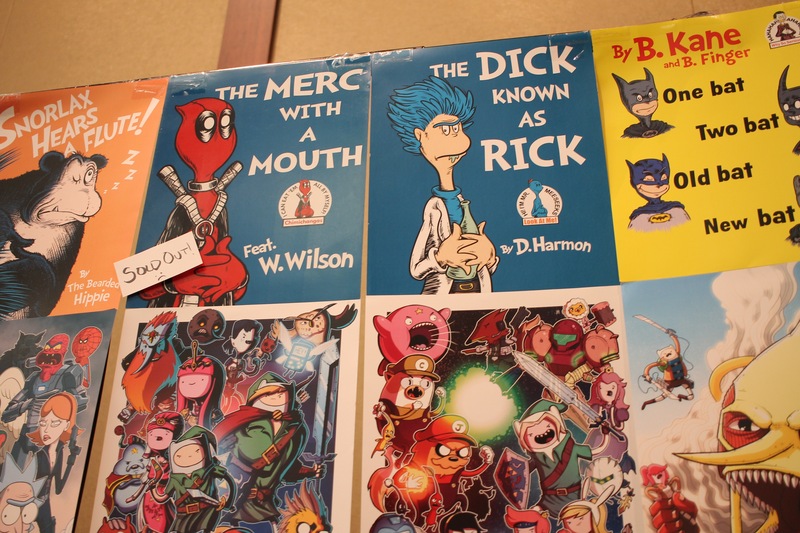 I spent one full day through what some say is the largest comics convention in the Pacific Northwest. That which is sad, being the comic books presence was not front and center for this year. Attending for my fifth year, I felt disappointed. 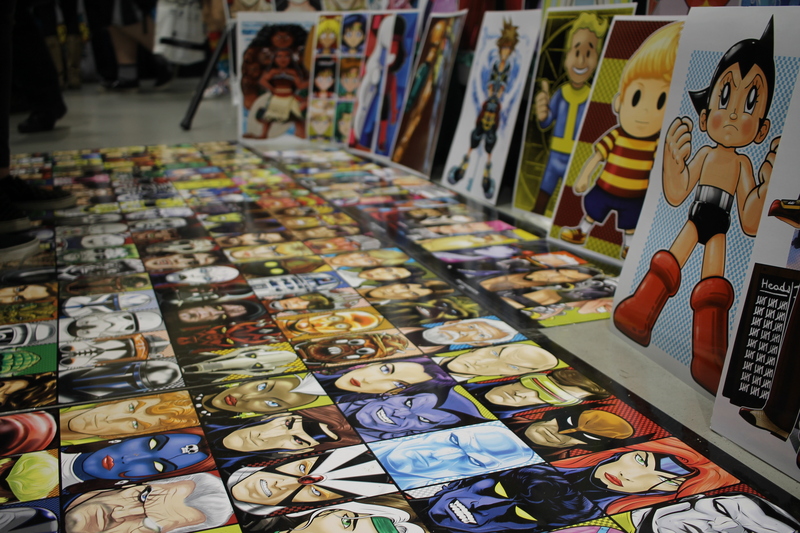 Its artist alley, located on an upper floor while back issues, trades, and graphic novels sellers were held further back. The larger comic publishers (Image, Dark Horse, Valiant, Boom!, Oni) stood tall and proud, yet somewhat hidden in the mass jungle of gaming, anime, pop-culture merch and pop sci-fi art dealers and small publishers. Still, much fun for the attendees who now come to these comic conventions in search for such. I, being a comic enthusiast wished better for the struggling sequential arts industry. Yet, there was a good presence of creative talent present, both old and new. The great Stan Lee was present, in panels and for autographs. 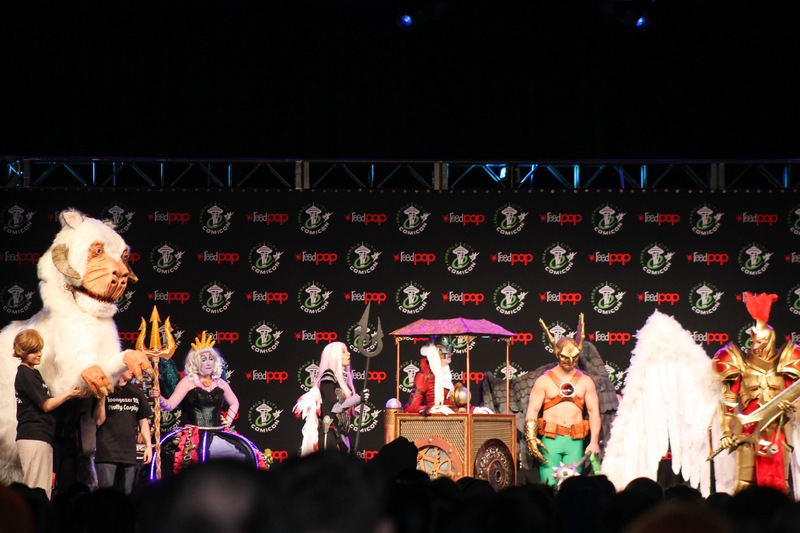 Most of the Image Comics founders were also present for their 25th anniversary for a panel and signings; including Todd McFarlane, Rob Liefeld, Erik Larsen, Jim Lee, Whilce Portacio, and Jim Valentino. Sadly, no core founder Jim Lee present. Meanwhile, in Artist Alley, many familiar faces to the comics industry were also present; Tim Sale, Mike Mignola, Jeff Lemire, Mark Waid, Babs Tarr, Scott Snyder, andm more. I was also pleased to see the growing presence of webcomics among the traditional monthly comics. Cyanide and Happiness, The Oatmeal, Agents of the Realm, Namesake, The Meek, and more were present. Such brings hope, that perhaps the comics industry will change and accept the digital frontiers. Then perhaps, learn from the new pioneers in web-coming publishing. Drawing the bigger numbers were the pop-culture celebs, which included stars from well-known entertainment shows like Daredevil, Stranger Things, Star Trek, Walking Dead. They came, and talked, and signed many things. Such are vital to the success of the show. But, I had little time and patience for the long lines. So, I walked around a lot and purchased much from the sellers and publishers present. Below, are some pictures and notes of my ECCC 2017 experience. 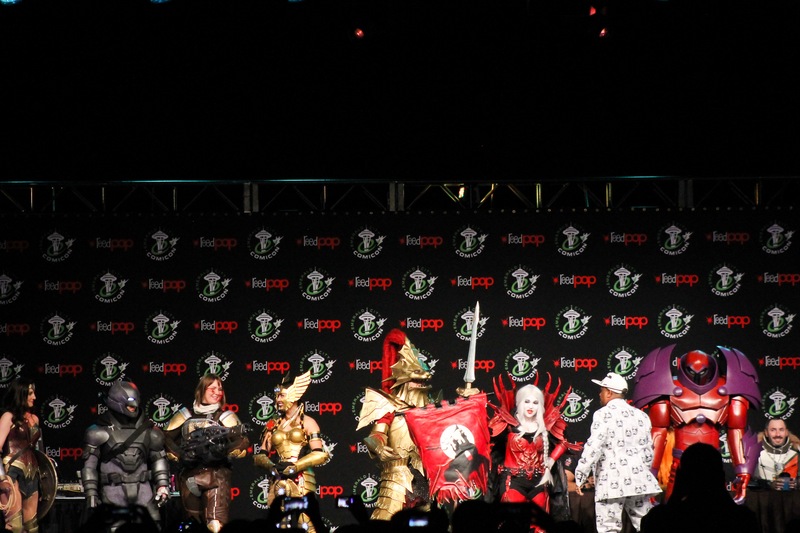 The crowds were a plenty, and so were the cosplayers. Here, many lined up for a mandatory weapon check. I feel safer already! 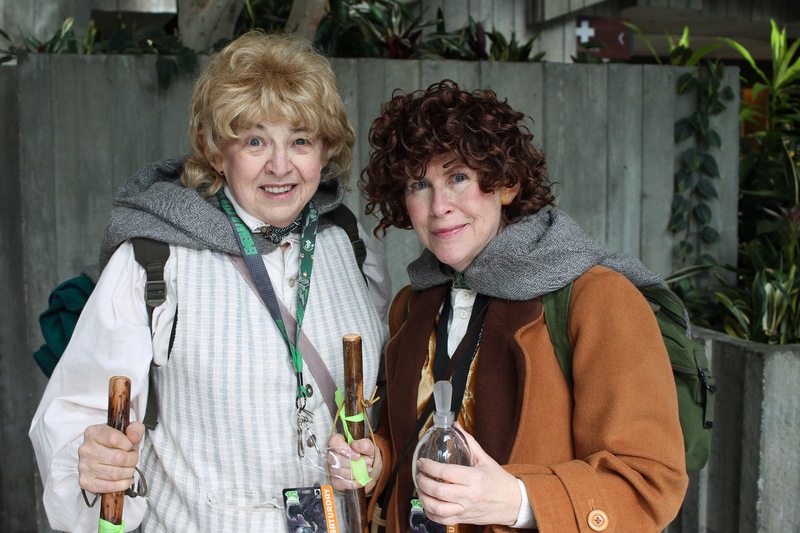 No convention or geek-culture pop fest is complete without some attendee dress-up. Here, are two Hobbits. 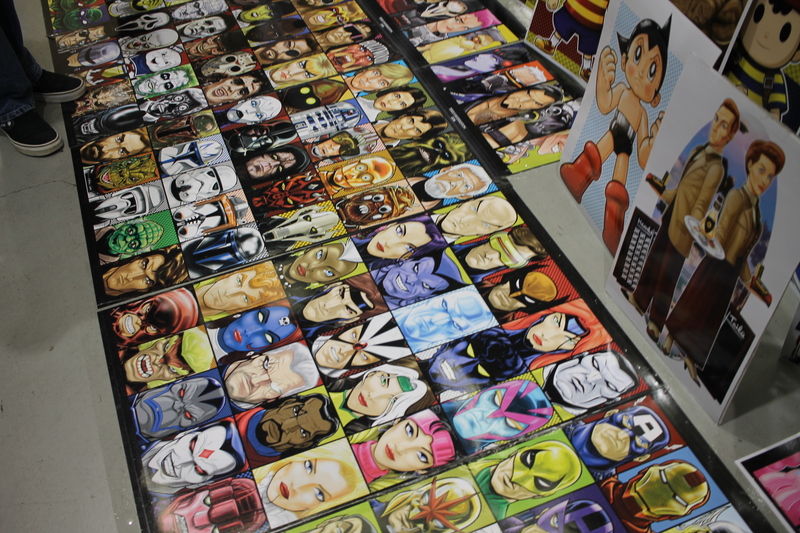 The best booths here at the ECCC involve the mix of creatives and their products. 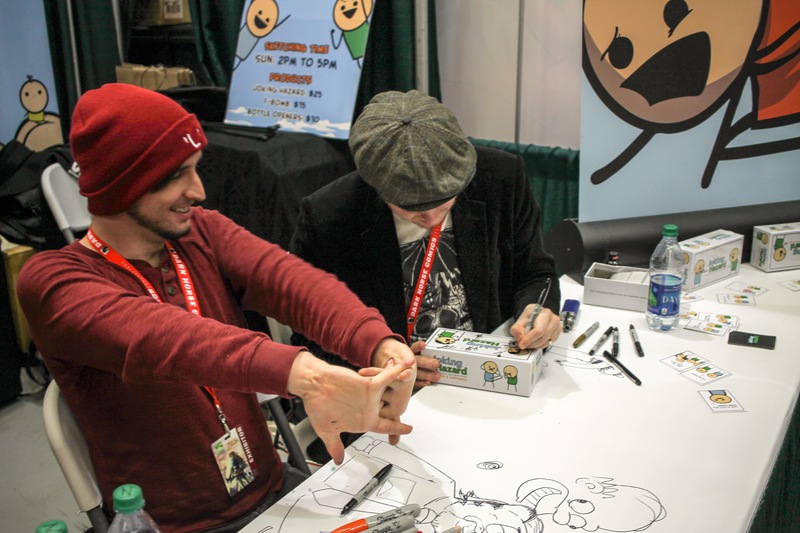 Here, the cartoonists behind the hit webcomic Cyanide and Happiness, and new hit game Joking Hazard..greeted fans and signed for a bit. 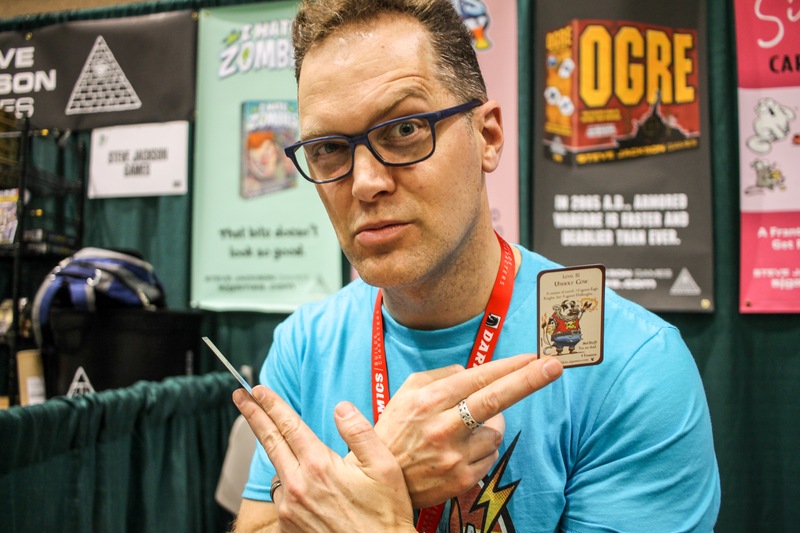 Shane White, present at the Steve Jackson booth for his work as Guest Artist for the new Munchkin Pathfinder game. Here is Barry Kitson, a professional artist from a range of well-known Marvel and DC comics titles. 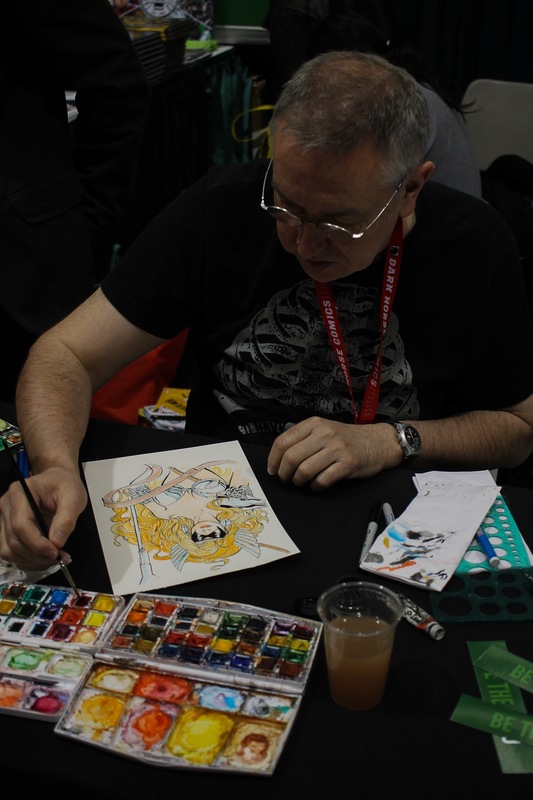 He was sketching the Hero Initiative booth, a non-profit charity helping comic creators in a time of desperate need. For more info, visit www.heroinitiative.org. 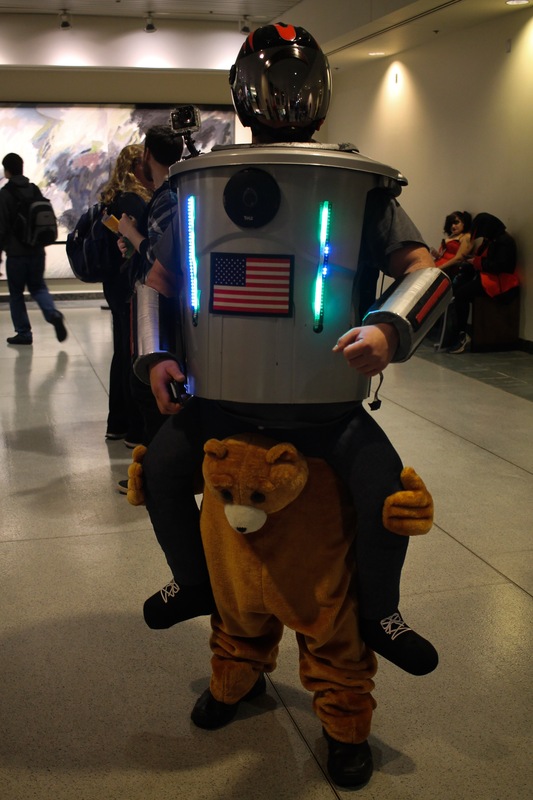 I did not quite get what this costume referred to or about, but I love it! 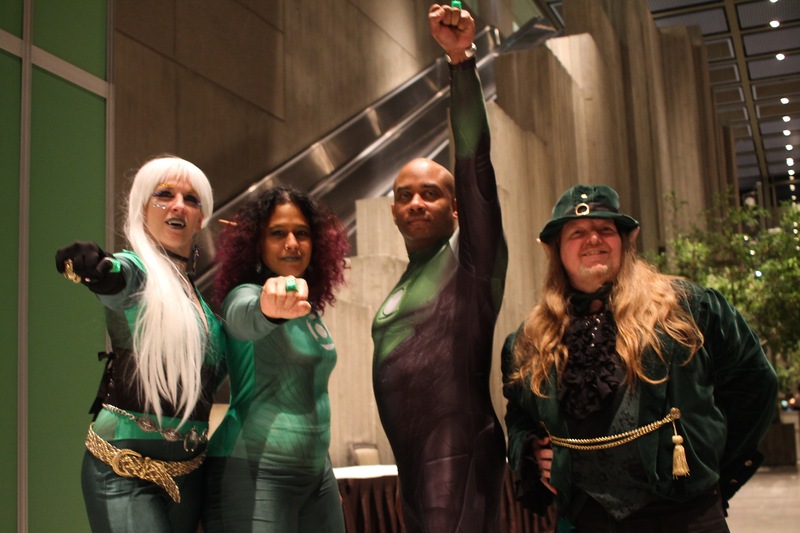 A Green Lantern group pose, with a little extra green from a possible leprechaun photobomber. 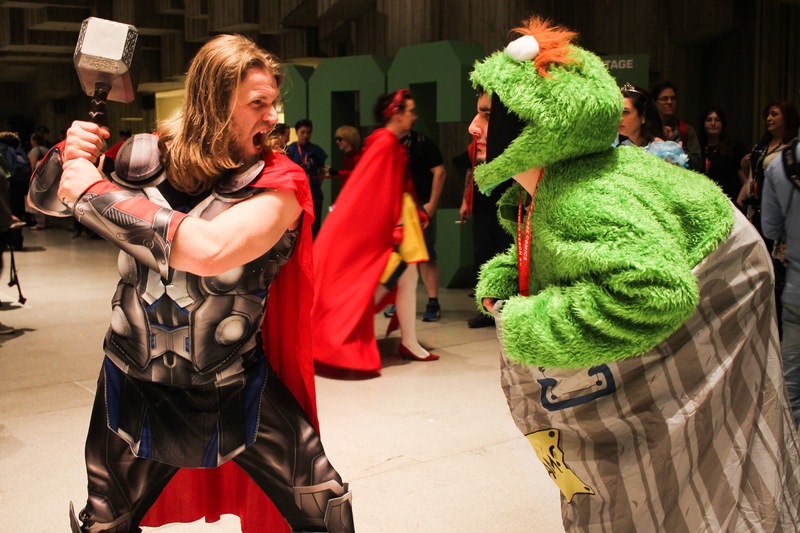 The God of Thunder vs. the Grouch of Sesame. Pokemon never die, they just multiply. Pickacheers!! I met Marguerite Bennett at the Aftershock Comics booth. 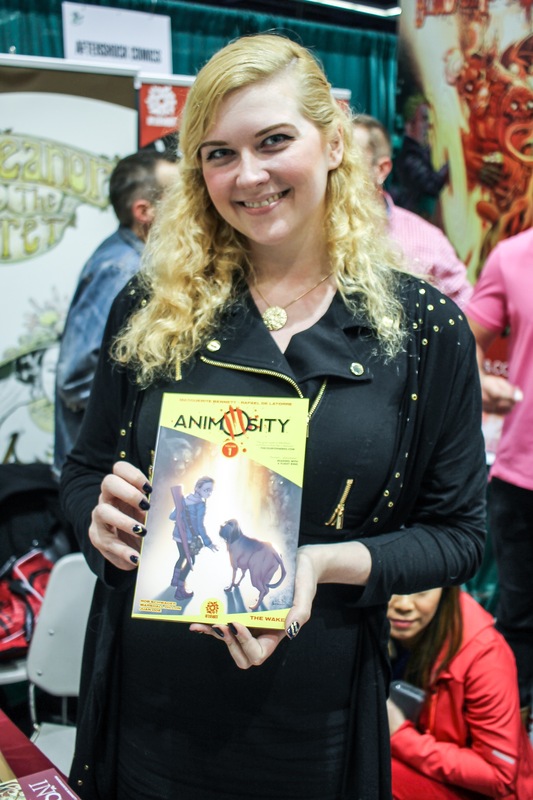 She is the author of one of a new favorite comic series, Animosity, of which she signed the volume 1 trade paperback in her hand. Part of the fun of the Comic Cons are the discoveries of new reads. Sometimes, they discover you. 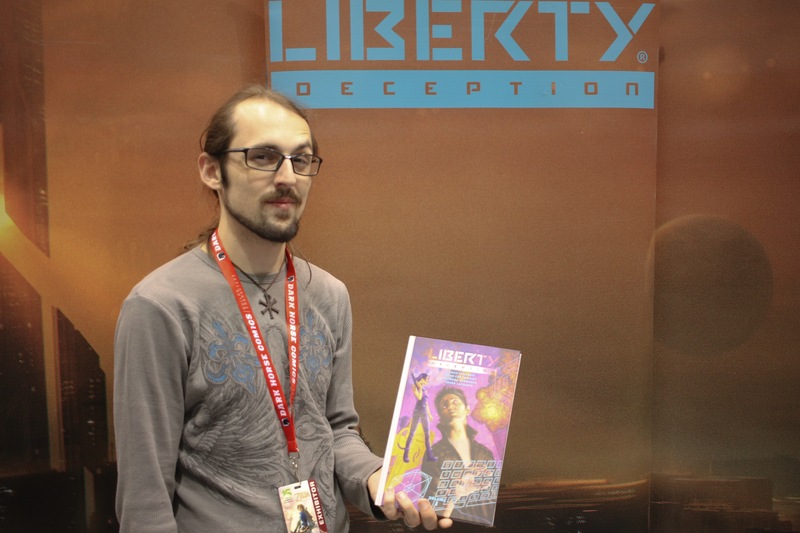 Here, self-publisher Travis Vengroff sold me a hardcopy of his new book, Liberty Deception. It’s a sci-fi dystopian thriller, of which I will be reading soon. 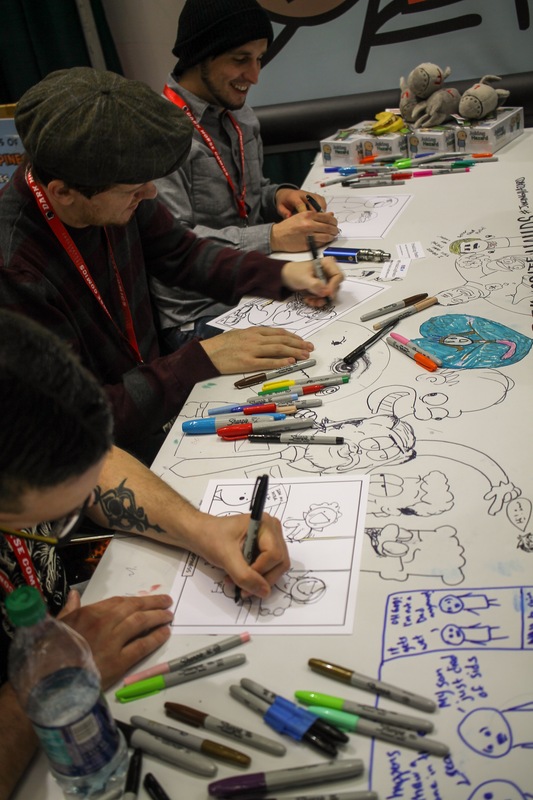 Back at the Explosm booth, where the Cyanide and Happiness crew are busy in their cartooning. 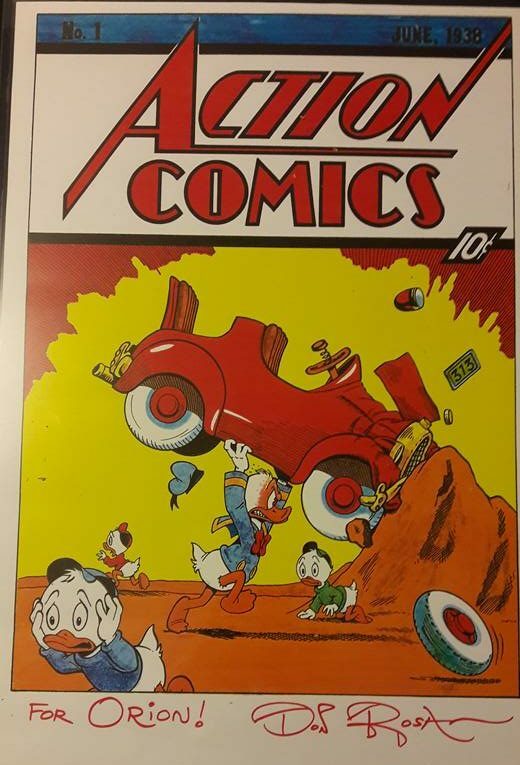 A print purchased from the great Duck and McDuck Disney family comics artist, Don Rosa. 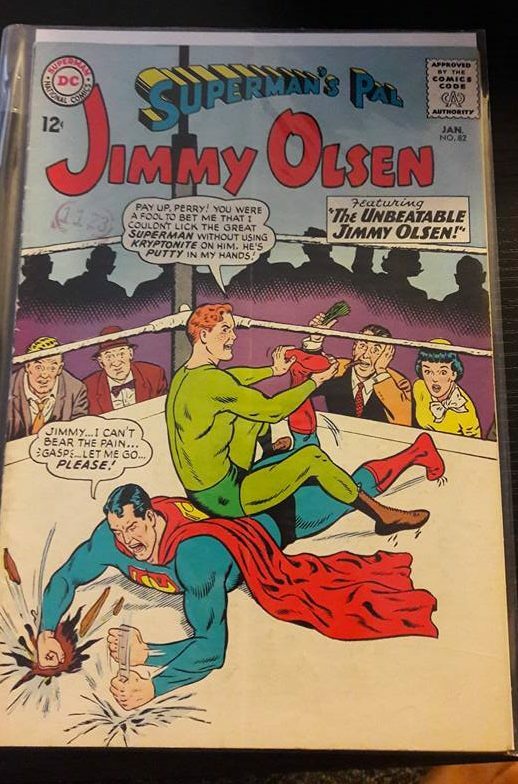 I purchased many comics from the back issue bins. This was a favorite among them. There was a good mix of masterful hand-made costumes. Many cheers from the audience in return. Overall, I had a good time at the ECCC for 2017. I spent more than I expected, but with no regrets. 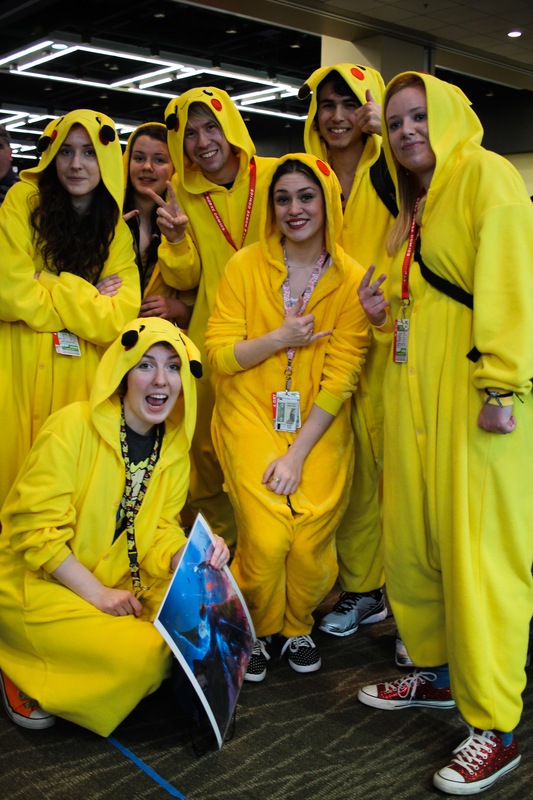 I also took more picture of some attendees in colorful cosplay attire. Those will be shown soon, in another posting featuring my favorites in costume as see on the show floors. Look forward!